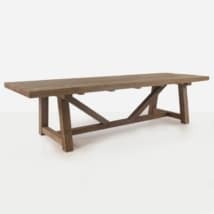 Get your family and friends together for a wonderful brunch on this beautiful reclaimed teak table. 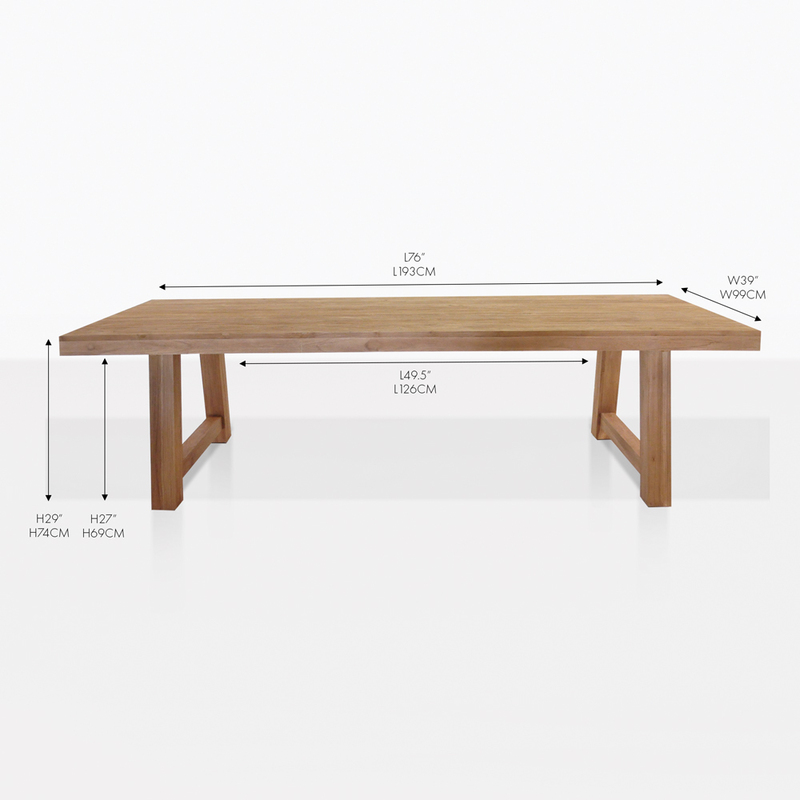 The Block table comes in two sizes to accommodate the size of your outdoor space. 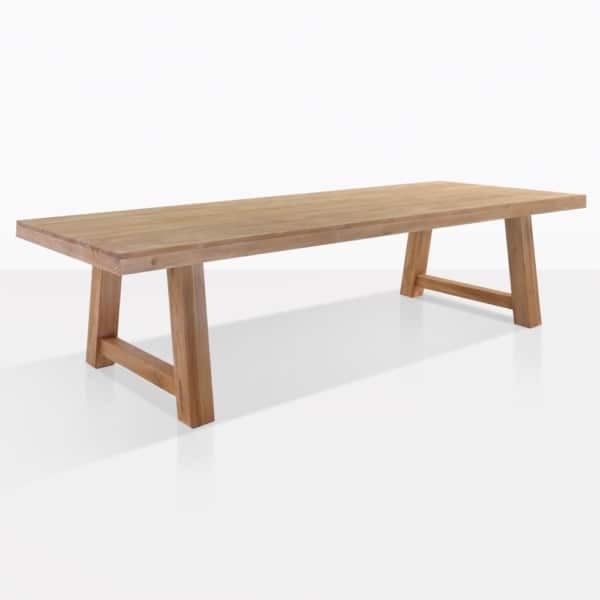 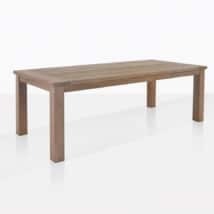 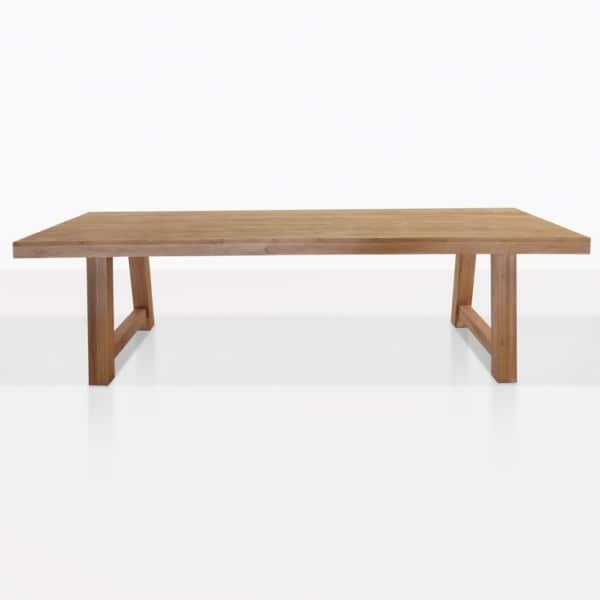 The table has a thick robust design for that sturdy look. 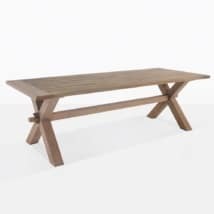 The blok table has a country feel to it, with its classical aesthetics it is made out of reclaimed Teak wood using marine grade hardware. 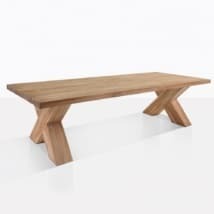 Depending on the size of the table you choose, the Blok table can seat 6 comfortably, for the smaller size and 8-10 comfortably, for the larger sizes. No assembly is required as we do this for you at no cost.